I would like to thank everyone throughout the years that has hired me, as well as all the wonderful Clowns, Musicians, Magicians, Jugglers and other family friendly Artists I have met that have inspired me. I would also like to thank all the wonderful people I have met on and off the stage that have shown they cared over the years. And, with that in mind, I am proud to share with you this retrospective of my days as a Clown. For all my friends as well as those of you that have an interest in and, or desire to be a Clown, I have decided to share with you some photos, insight and an opportunity to wander down my Memory Lane. 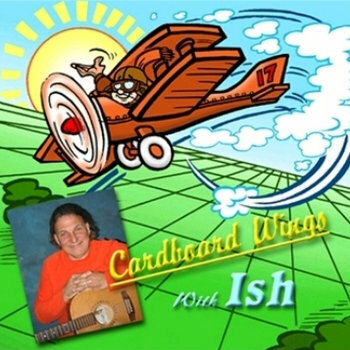 This highly animated song was originally recorded and released in 1986 by Musical Clown Duo: Ish & Lenny. It's a high octane, animated, interactive mix of Big Band, Circus sound effects and Jazz-Grass. Also appearing is a highly motivated Kids Choir. Get your rain gear and sing-along! In 1980 I met the wonderful and talented Topper the Clown, who mentored and guided me to become a good-natured, gentle Hobo Clown in the tradition of Red Skelton as I focused on my musical, comedic, storytelling and Balloon Sculpting Talents as well as expressing my sense of goodwill within my art. In 1986, under the tutelage of world class Clowns Richard Pachinko and Fiona Griffiths at the Theatre Resource in Toronto, I developed further skills in movement and improvisation and familiarity with the history of clowning, including Comedia de Arte. In 1988, I received additional instruction in vocal development and improvisational comedy at the renowned Second City and had the opportunity to meet and study with such great Comedians as John Candy and Mump & Smoot. Matched with the musical and lyrical inspiration of the Beatles; Peter, Paul & Mary; Tom and Harry Chapin, Pete Seeger and later Raffi and Fred Penner I saw a way of expressing myself in a creative and meaningful manner. There is something special that happens when you put on your makeup, paint on your trademark blue nose, don your classy hobo suit, and step into your custom made clown shoes and get into character and you magically become someone else. Over the years, I am proud to say that I have continued to study and hone my skills mixing music and comedy in a family friendly way. I also enjoy watching other entertainers that mix goodwill within their art that appeal to young and old alike. This is me, I took part in the very 1st Terry Fox Run in Toronto, Ontario. It was such a wonderful experience. Sharing happiness has always been the mission of Clowns everywhere, from circus, theatrical, and birthday party Clowns to those of us that have also performed at festivals, fairs and special events - including Clowns who visit those who are in hospitals and shut-ins that really need to take in the chance to laugh. As we all know, a gift is not a gift unless you give some of it away. The life lessons I have learned through Clowning are valued gifts I received from all those I have met. Through good times and bad my Clown has pulled me through and helped me to define the man I am today. A creative and kind person that is committed to doing the right thing in my every day life. when it comes to little ones and older people alike.